TIM and Vivendi will today be launching the STUDIO+ service, the new application dedicated to the viewing of contents produced and filmed for smartphones. With the new app, TIM customers will have access, as part of an exclusive, advantageous offer, to original titles that can be enjoyed on the display of a mobile device, anywhere, at any time, including in HD quality, over mobile networks, Wi-Fi and even off-line, after downloading. The innovative proposal of STUDIO+ envisages original series with formats developed specifically using narrower angles and more dynamic screenplays, characterised by seasons comprising 10 short episodes lasting around 10 minutes each. The series are entirely adapted to the mobility experience of the new spectator; enthusiasts will be able to watch their favourite series even during daily coffee breaks, both in streaming and by downloading. During this initial stage, STUDIO+ will be offering 15 complete seasons of different genres, ranging from action to science fiction, romanticism to drama, adventure, suspense and horror, as well as an extensive catalogue of short films, for a total of more than 200 videos. Each week should see the launch of a new series/season, thereby enhancing the catalogue available in five different languages (original with dubbing and/or subtitles in English, Spanish, Portuguese, French and Italian). As from today a great many titles will be available in Italy, including Kill Skills, Urban Jungle , Surf Therapy, Madame Hollywood, Brutal, Amnesia, Kali, Doom Doom, Red s1, Superhuman, Haphead, Farmed and Dangerous, Romantic Encounters, El Gran Dia De Los Feos, El Porvenir and Under. February will see the arrival of Deep, a French-Italian production featuring Ornella Muti and Caterina Murino. 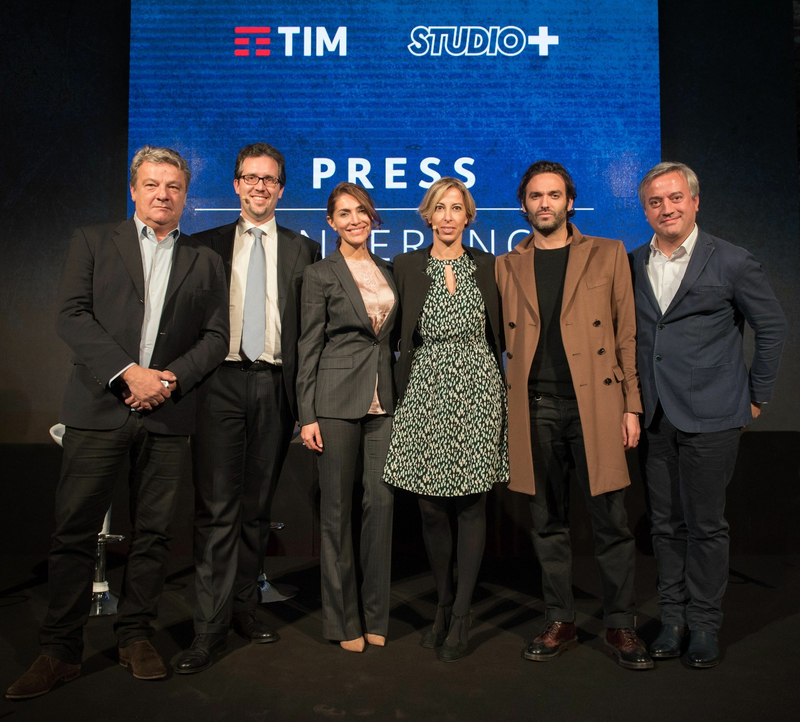 “We are extremely happy and indeed proud that TIM is the first Italian telephone company to collaborate with us on the market launch of STUDIO+ - declares Dominique Delport, Chairman of Vivendi Content . “Vivendi and TIM share the same vision that original contents and an innovative format will meet with the expectations of customers who are increasingly looking to new services and new experiences. Given the lack of contents designed specifically for smartphones, we are therefore facing a great opportunity to attract and draw in enthusiasts of short series with a high quality product of exclusive use, fascinating stories offering easily-available, great entertainment”. “We are firmly convinced that the development of innovative services for entertainment is one of the main drivers of our business” - Daniela Biscarini, Head of TIM Multimedia Entertainment & Consumer Digital Services, declares. “Thanks to the partnership with Studio+, we will continue to enrich our range of digital services dedicated to our customers, with excellent unprecedented international content. Today, we are opening up to these new creative languages, available on the mobile network through the very best technologies, which define a rapidly-evolving, highly-challenging market ”. The STUDIO+ offer is available to TIM customers only, at 3.99 euros a month, with the first month free (rather than 4.99 euros), or at 1.49 euros a week, with the first week free (rather than 1.80 euros). “Off-line” mode can also be activated, whereby episodes can be downloaded and then watched at any time on tablets or smartphones. TIM also reserves its customers the “Supergiga 10 e lode” offer, which envisages at a cost of 9.99 euros for the first two months 5GB browsing by day and 5GB to browse from midnight until 8am. This new offer will enable TIM customers to watch the premium content of the Studio+ app free of charge, for two months. The agreement between TIM and STUDIO+ stresses how the development of synergies between telecommunications operators and producers of premium content represents the new route for the development of unprecedented entertainment models, which will reach a new generation of spectators, offering high-quality, original digital productions.